The Govs enter the final 18 holes within striking distance of the lead after a second round that equaled ULM and Murray State for the top rounds of the day. The Warhawks (300-299—599) are the overall leaders, followed by Murray State (603) and the Govs (311-299—610). Findlay (620) and Belmont (631) round out a competitive top-five. Midway through round two, the skies opened up and the course was cleared due to lightning. 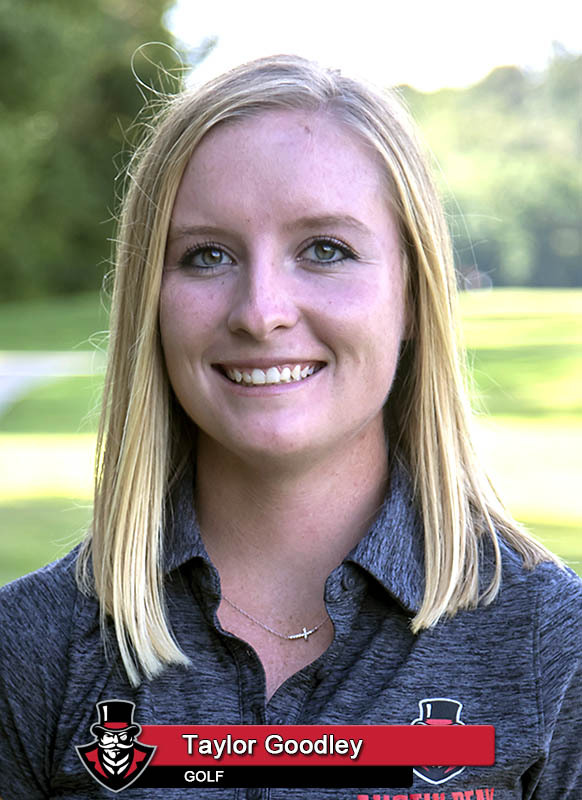 However, the delay was brief and the rest of the day finished without incident, to the delight of Austin Peay head coach Amy McCollum, running her first home event as head coach of the Governors. “We played with more confidence in the second round,” said McCollum. “We had some birdies that didn’t fall that we’ll knock down tomorrow. Overall, I’m encouraged by what we were able to do, in spite of the weather. Three Govs moved to within a shot of the top-10 thanks to competitive second-round efforts. 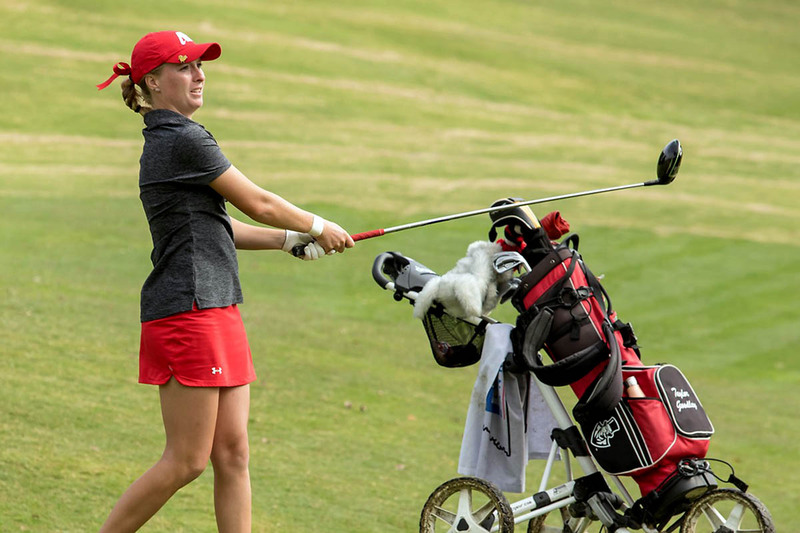 In her final home tournament, senior Taylor Goodley sits at 11th thanks to a second-round 73 (80-73), tied with freshmen Taylor Dedmen (79-74) and Shelby Darnell (77-76) and a shot ahead of senior Reagan Greene (78-76—154). Dedmen led the Govs in birdies (four) and tied for the tournament low in par-5 shooting (4.80/hole), while Taylor Goodley tied her sister Ashton with a team-high 25 pars. on the back nine of round one, including one of just three birdies recorded on the day on the par-4 No. 10. 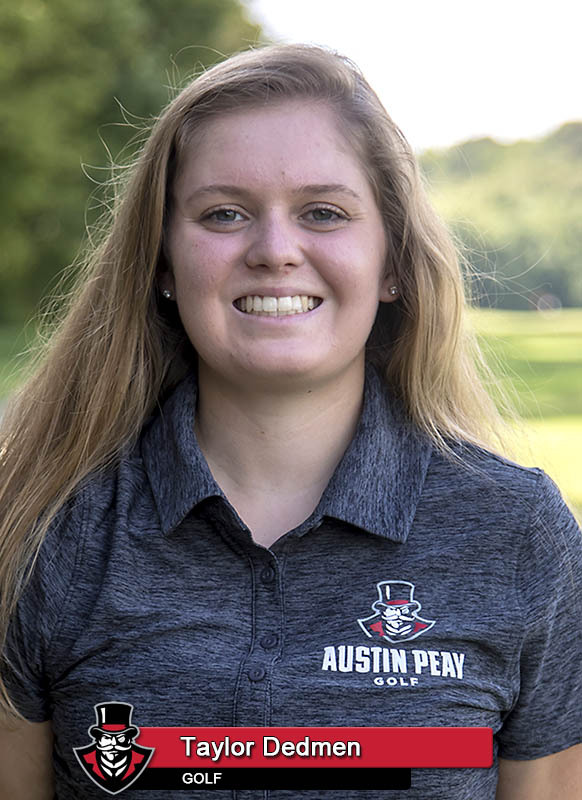 Sophomore Andrea Presilla closed out the day for Austin Peay with a 175 (87-88) in her second appearance in the Govs annual home tournament.